Ability Text: Spells and abilities your opponents control can't cause their controller to search their library. 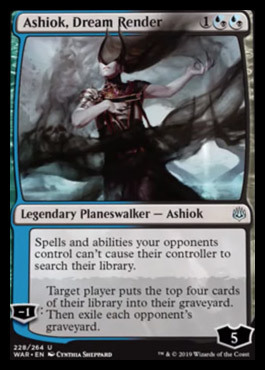 [-1]: Target player puts the top four cards of their library into their graveyard. Then exile each opponent's graveyard.